If you haven’t already done so, add your Facebook and Twitter accounts from within Add/Edit Services. Once you’ve added your social media accounts, you can schedule your posts to your saved services. 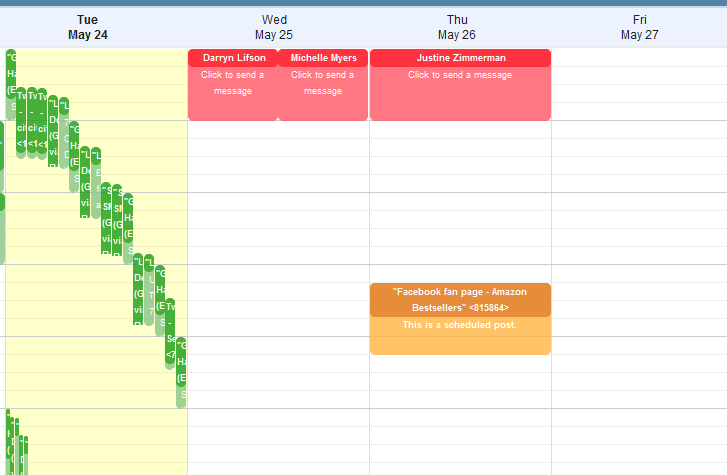 There are two ways to schedule your messages with Sendible. 1. Select Message Box > Compose. 3. Select the “Scheduling” button and select to Send at a specific time. 4. Select the exact date and time to send the message. 5. Click Send and Sendible will send the message at the scheduled time. 1. Select Message Box > Calendar. 2. 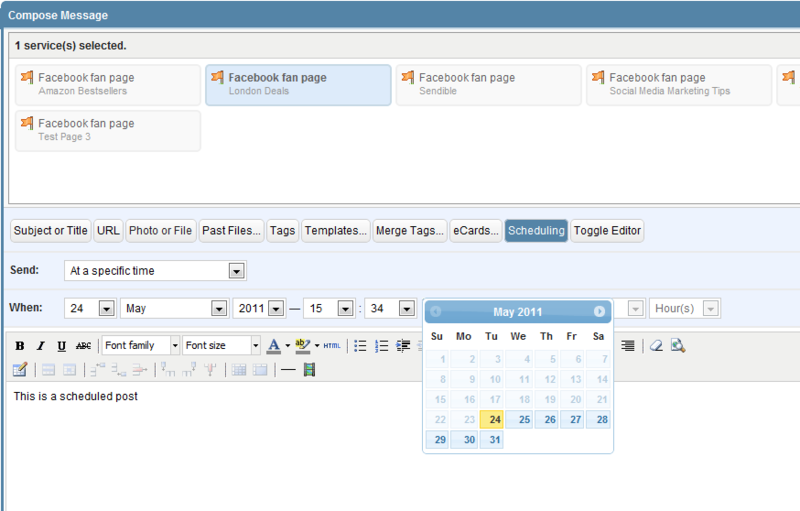 Find the date and time you’d like to post and click that time slot. 3. Compose your message and click Send. Sendible will send the message at the scheduled time.